Get re-inspired and join other bloggers in this practical online course. 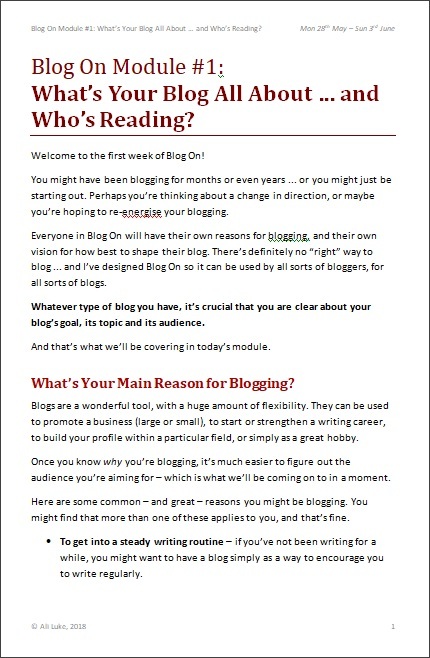 Blog On is an eight-week online course aimed at any blogger wanting to get back into their blogging grove. 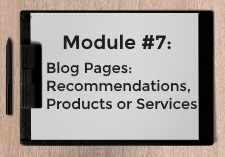 The modules cover all the core aspects of building a great blog: focusing on the right topics to meet your blogging goals; writing excellent, well structured posts; crafting crucial pages for your site; and coming up with plenty of ideas and post plans to take you forward. I’ve been running the Blog On course for several years, but for 2018, I’ve completely rewritten it to take into account new changes in blogging and – most importantly! – to make sure that it’s a good fit for all bloggers. Whether you run your blog as a hobby, an outlet, a non-profit, an online portfolio or a small business, Blog On is for you. Blog On costs just $39.99 for the full eight week course (which works out to just under $5 per week). Registration closes at the end of Thursday 24th May. 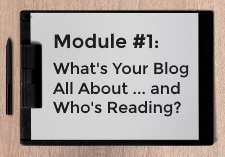 Module #1: What's Your Blog All About ... and Who's Reading? 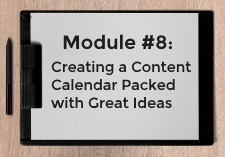 I have found Ali’s work to be consistently useful and this course is no exception. 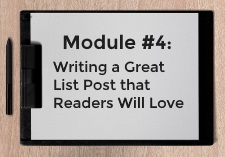 The course takes you step by step, through what you need to do to write good, solid blog posts. I have admired Ali’s writing for a long time and have often visited her site to get inspiration about how to write or structure a post so it is great to go “behind the scenes” and learn more for myself about writing excellent web content. 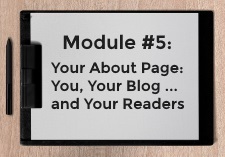 You will not just learn how to create different types of blog posts. You will also learn how that same knowledge can be applied again and again for bigger, better and longer pieces. You see Ali isn’t just thinking about her students whilst they are in her course. She is thinking about how her students can use the same knowledge in two months or two years time. As well as rewriting every single module (! ), I’ve introduced a couple of completely new elements to Blog On for 2018, to help you get as much as possible out of the course. The price, however, remains unchanged at $39.99 for everything. 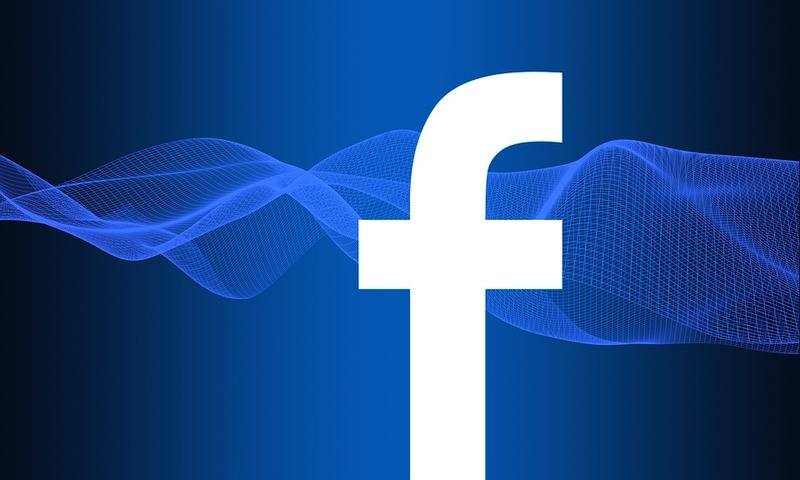 We have a Facebook group where you can meet other members of the course — and where you can ask any questions you want. This is a private, members-only group, so no-one will see your posts except fellow bloggers taking the course alongside you. After the course is over, the Facebook group will remain online so that you can continue to stay in touch easily. Of course, you can leave the Facebook group at any time while retaining full access to Blog On itself. Although you can work through Blog On at your own pace, you’ll get the best possible results if you finish a module each week, along with the rest of the group. Each week, we have a “check in” topic on Facebook: all members are encouraged to post here once they’ve completed that week’s module. The deadline is the end of the Sunday (so for Week 1, the module comes out on Monday 28th May and the deadline for checking in is 11:59 on Sunday 4th June). 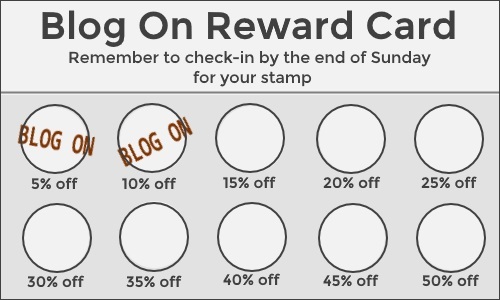 You start with two stamps just for joining Blog On, so you can get a total of ten stamps – meaning 50% off. This can be redeemed on any of my other online courses, including “Successful Guest Posting [Blog On #2]”, which is coming in the autumn. I’ll give you your stamped reward card as a reply to your check in (or as a reply to your email), each Monday. The whole course is written, so that you easily can go at your own pace (whether that means skimming over material that you’re already confident about, or taking your time and re-reading a particular section). Where appropriate, I’ve included graphics and screenshots to help demonstrate what I’m taking about, e.g. to show you the underlying structure of a blog post. You can see the first page of Module #1 to the right. Occasionally, the course also includes links to useful videos, but these are optional and not part of the core materials. Each week’s module is delivered to you as a .pdf file that you can read online or offline on any computer or device, or even print out. Every email I send will contain links to the previous modules’ .pdfs too, so that if you misplace an email, you can still easily find the materials. I’ll also post the modules in our Facebook group. At the end of the course, you’ll receive all eight modules as a single .pdf for easy reference. We have a Facebook group where you can chat to other members and get help directly from me. This is also where you can “check in” each week to let us know that you’ve completed your assignments and get stamps on your Blog On rewards card. If you don’t use Facebook, or if you prefer to contact me privately, you’re welcome to email me at any time during the course and I’ll be glad to help you. If you join Blog On and find it isn’t quite what you needed, you can email me for a full no-quibbles refund at any point up until the end of Module #4.